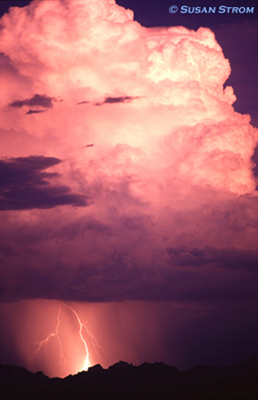 capture the power and splendor of lightning and weather. Colors can be dramatic, changing with atmospheric conditions. tones can result when I am shooting the storm when sand is in the air. have been cleansed by the monsoon's downpours. "So I can see it." Nature grants us only a millisecond to see each bolt.